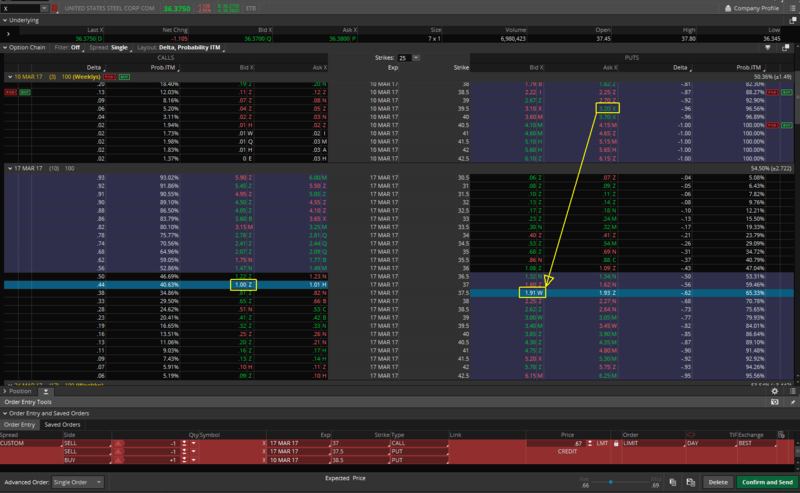 Another of my strangle trade against US Steel (X) got ready for a roll. The trade executed and we rolled the puts into the next week. I tried trading indexes in the past but got burned. Evidently not an instrument for me. Individual stocks work well for me so staying with them.